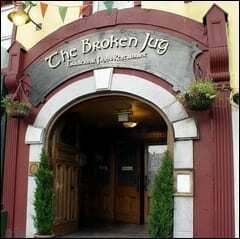 The Broken Jug, Ballina the backbone of evening and night time entertainment in the North west of Ireland caters for every celebration, whether it be a family celebration, hen or stag party it’s on everyone list; Top 5 Great Bars in Ireland! 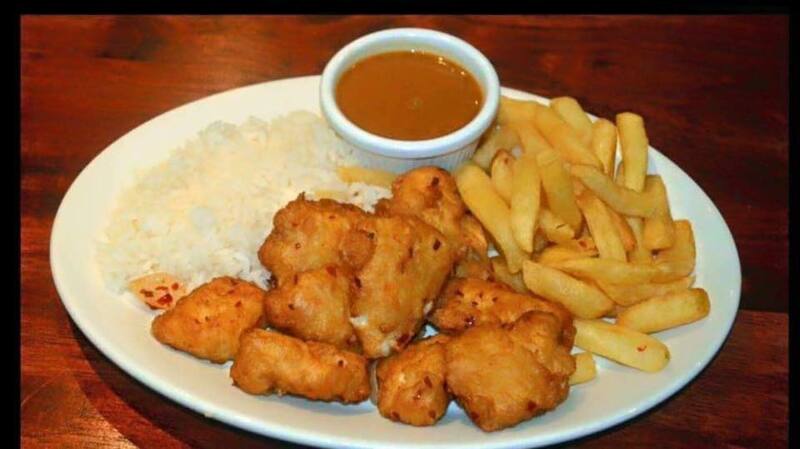 Renowned for its award winning Carvery and its extensive sandwich menu and delicious salad bar, with the latter offering healthy options and a meal equally satisfying. 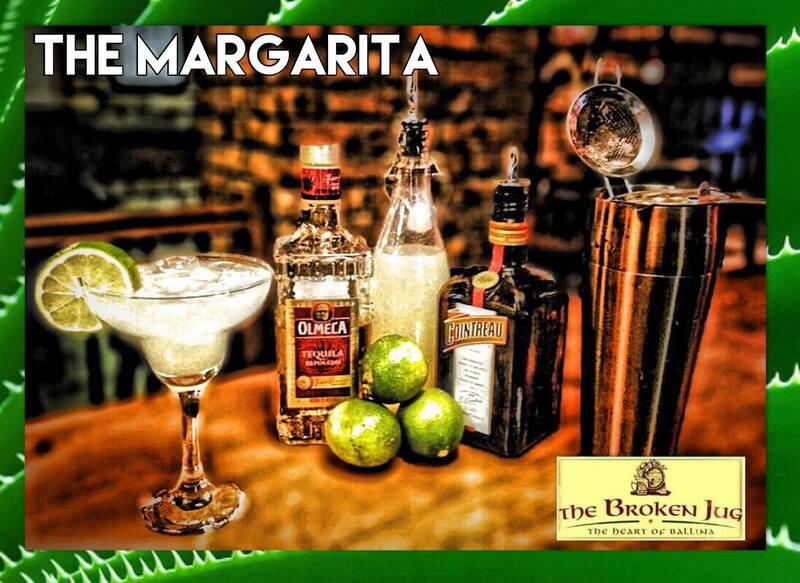 Every evening, the Broken Jug offers an extensive menu in comfortable surroundings, the dark horse of their trade and a hidden gem. 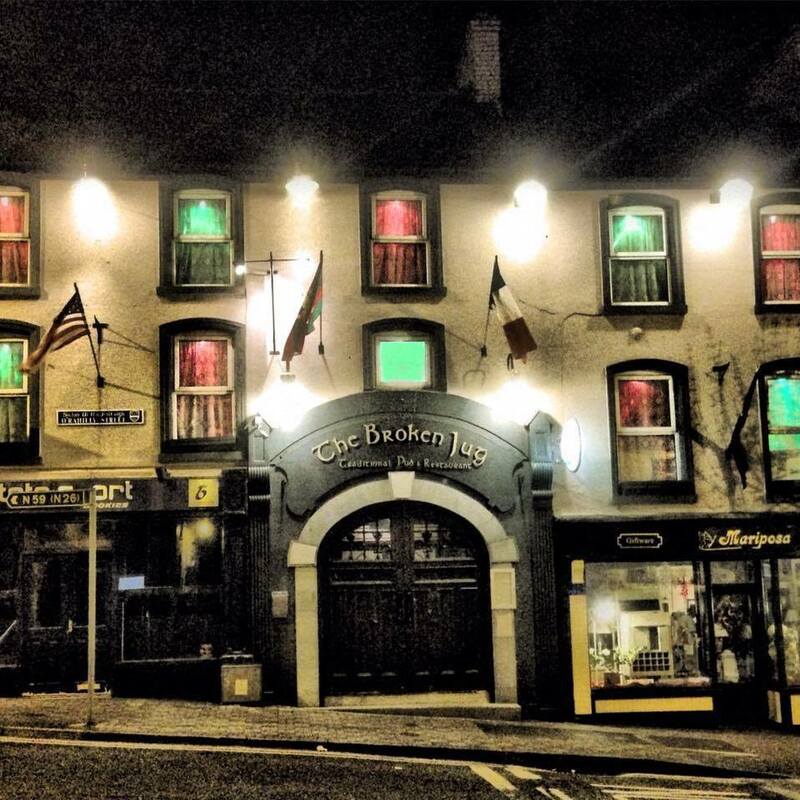 A candlelit dining experience awaits you complimented by the same relaxed, homely and welcoming atmosphere that they’re known for. 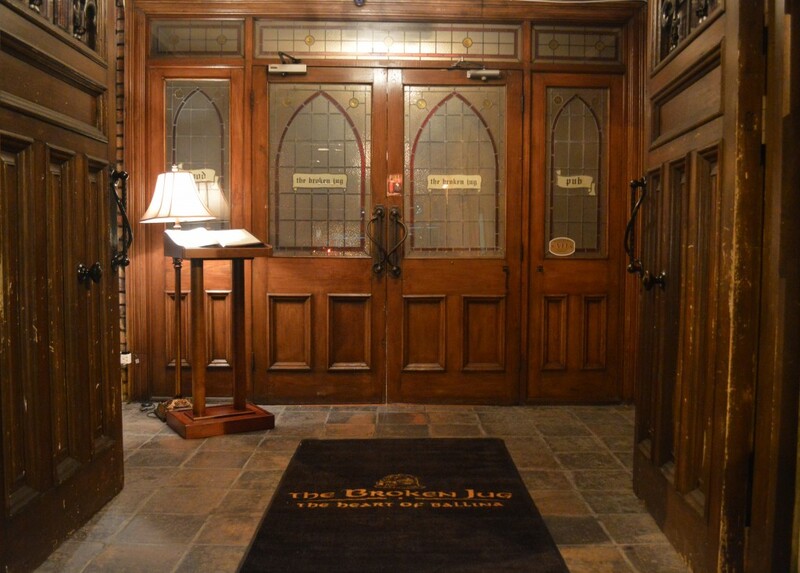 A diverse evening menu offers up the same freshness and flavour you would expect from award winning food. 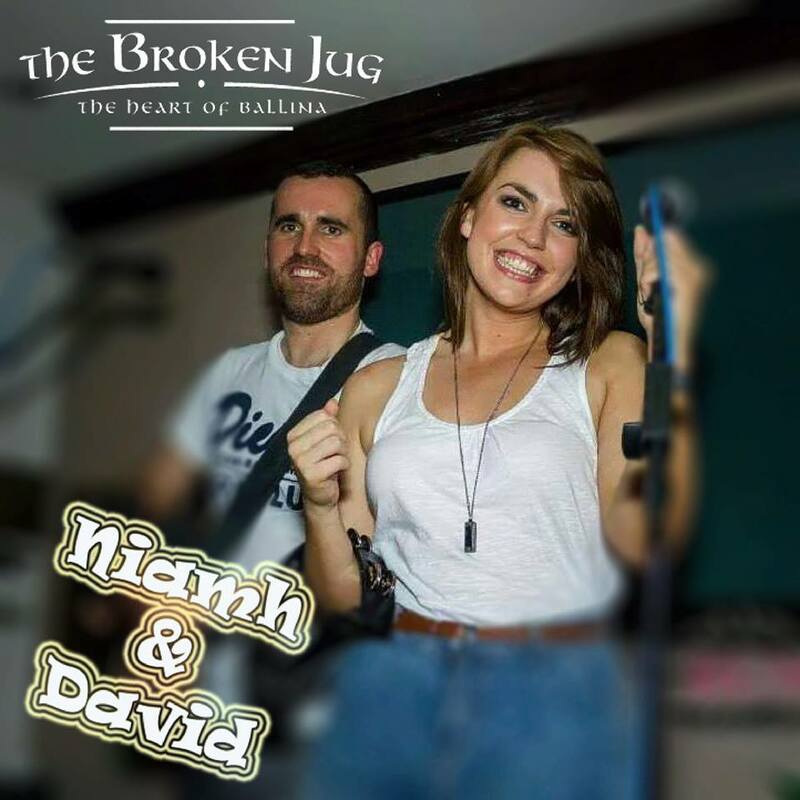 Each night of the week over the summer offers something different, anything from traditional Irish music, to live bands with late bar and DJ at the weekend. 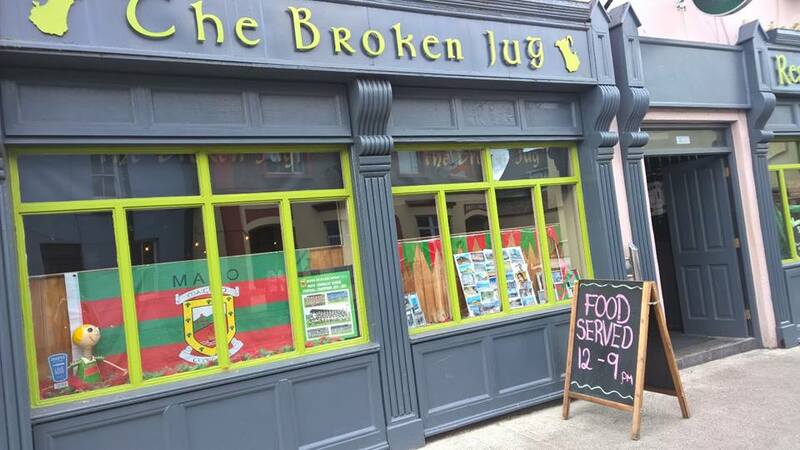 With impressive big screens and HD T.V’s the Broken Jug is the sports bar of the town, a favourite for football fans who want to see the game with the option of food and a pint! 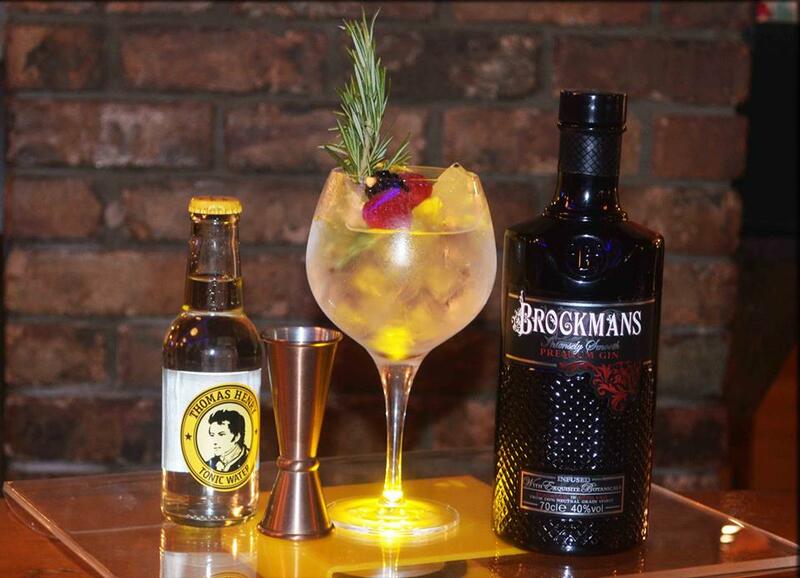 The newly designed and vibrant Cocktail menu is an experience not to be missed with inventive and old fashioned cocktails designed to cater for all tastes. 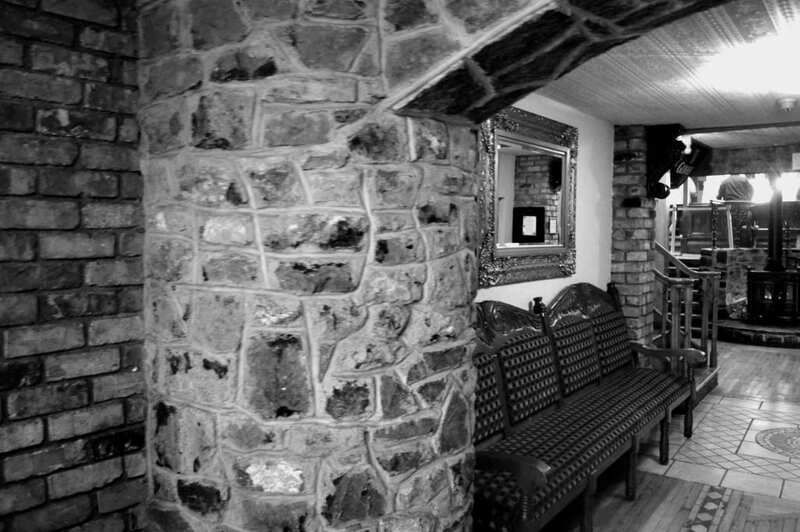 A private function room means that whether you’re looking for an intimate dining experience or need somewhere to host your special occasion then The Broken Jug can cater for you. 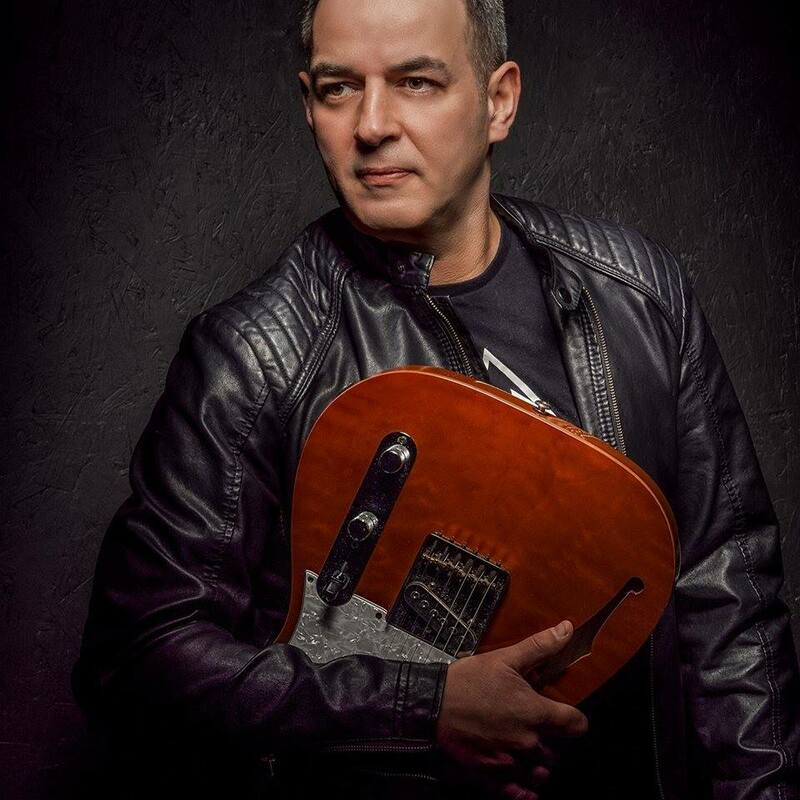 Pop in over the weekend and enjoy live music Friday, Saturday and Sunday nights. 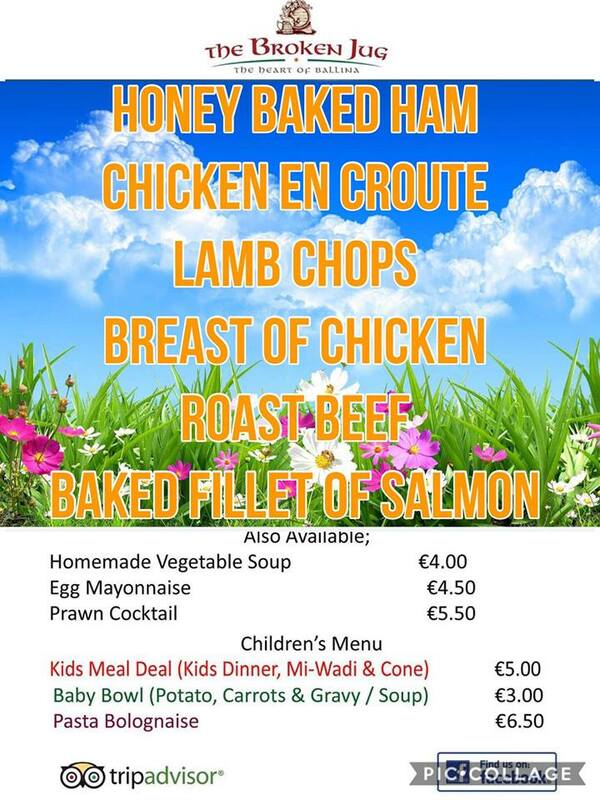 Enjoy its signature Carvery lunch, especially on Sunday. Relax and take in the footie or catch up with family. 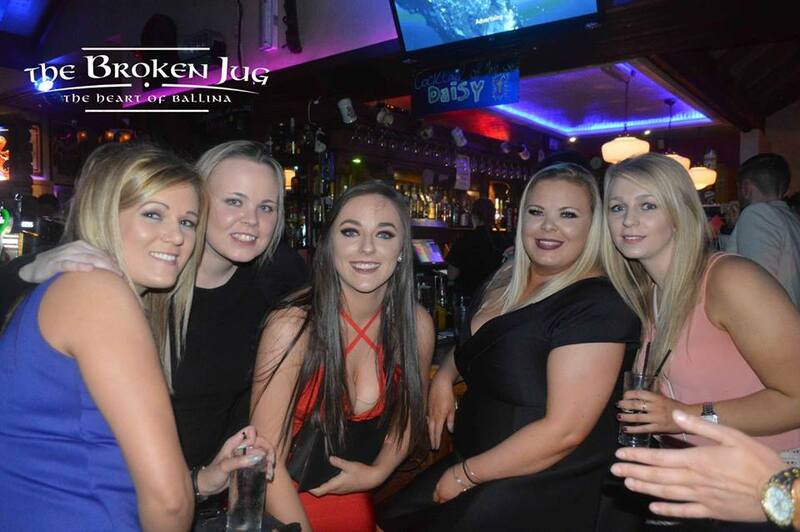 Not only is it a great family friendly venue, its Ballina’s hot spot to meet up with friends.